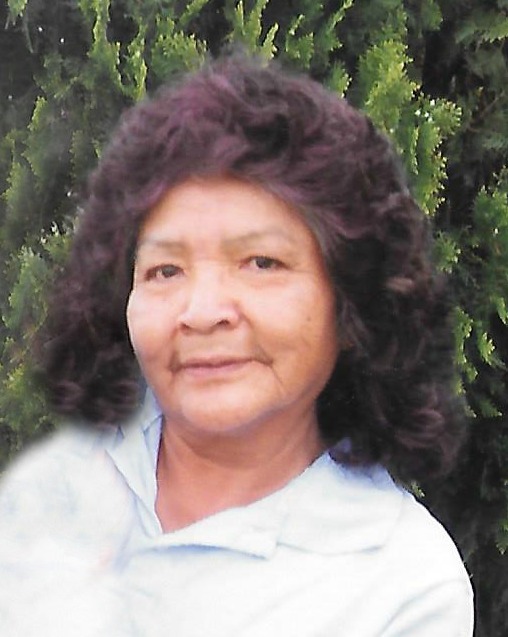 Caroldean McDonald, born October 11, 1938, passed away peacefully on January 30, 2016 at her residence in the Goodyear Village on the Gila River Indian Community. She was born to James and Jennie Allison in Stotonic Arizona. She was “Stha” to most of her friends and relatives. Stha led a happy, active life filled with family, friends, and many activities which included her grandchildren. In 1960, she married Everett Leslie McDonald and they were lucky to have celebrated 55 years of marriage. Caroldean is survived by her husband Everett, daughter Cheryl Wells and her husband Lance Wells Sr. her second daughter Lynette McDonald, grandchild Carrie McDonald and her significate other Luis Gutierrez, other grandchildren Lance Wells, Tiffany Enos, Jesse Valencia, Justin Wells, Andrea McDonald, great grandchildren Nicholas Gutierrez, Adrian Gutierrez, Anahi Gutierrez, and Emma Enos. She was preceded in death by her son, Duane Everett McDonald, daughter Jeryln Faye Holmes, and granddaughter Mary McDonald. Our mom, our Lil Grams will be missed by all of us. Wake services are Friday, February 5, 2016 at 6pm to 10pm at the Goodyear Presbyterian Church in Goodyear Village, Gila River Indian Community. Funeral services are Saturday, February 6, 2016 at 8am at the Goodyear Presbyterian Church in Goodyear Village, Gila River Indian Community.